Interior Design and Remodel Services focusing primarily on Kitchen and Bath. Megan Elise Interiors LLC (soon to be Megan Bailey Interiors) is a full service interior design firm specializing in residential remodeling and interior furnishings. Whether you are wanting to refresh a room with new furnishings and accessories or gutting your house down to the studs, Megan's design process can help you along every step of the way! She can provide a full set of remodel floor plans, 3D renderings and material selections packet to the builder of your choice or would be happy to refer you to one of the builders she works closely with. She has great relationships with her industry partners and will help guide you to all of the right decisions for your remodel. If your furnishings need some updating, she has many sources for whatever your taste and style preferences are. She has a great eye for design/space planning and captures every detail from the largest piece of furniture down to the smallest accessory. She has been in the residential design industry since 2009 and established Megan Elise Interiors in 2018. In 2012, she had the opportunity to work on set of 6 episodes of HGTV's Property Brothers and was honored to be selected as an NKBA 30 Under 30 in 2013. Her clients are everything and she loves building relationships through every step of the furnishings and remodeling/building process. She understands that your house is special to you and will work until you find the solution together that fits your family's needs! With quality experience since 1976, you can be sure Marshall Construction will complete your project on time and within your budget. And with million-dollar General Liability Insurance and a written 12-Month Warranty, you won't have to worry about any unfortunate surprises. For complete commercial and residential remodeling, siding, and window services, you can count on Marshall Construction to make your dream a reality. Remember, we won’t pressure or hassle you, but simply offer information and a free estimate. So even if you’re just in the brainstorming stage of a home or business remodeling project, we can help. Call today! With more than 25 years of experience serving the Dallas area, Servant Remodeling provides complete design to build service for your home remodeling needs. Specializing in kitchens, baths and additions, we offer the expertise, creativity, customer service and project management necessary for success. Because we are full service, our most satisfied customers are those who want a company to manage their project, leaving the problem solving and details to the professionals, thus allowing them a worry-free experience. Rob Jackson, originally from Akron Ohio, moved to Texas in 1985. An Eagle Scout, he attended college and began his career in a cabinet shop. His carpentry skills lead him to a job with a remodeling company where he discovered his passion for residential remodeling. In 1987, he founded Servant Remodeling. 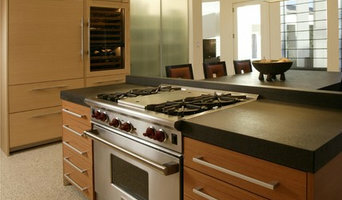 Rob is a NARI Certified Remodeler and a NARI Certified Kitchen and Bath Remodeler. He has served on the NARI Greater Dallas Chapter Board and was President from 2009-2010 and has won numerous NARI Awards. Tracy Dyhre is the Interior Designer for Servant Remodeling and received her design certification in 1985. She has worked as a Design Center Manager and a Whole House Designer before coming to work for Servant Remodeling. Tracy has over 22 years of design experience and has been focusing on design for interior home remodeling for the past 8 years. Visit our Dallas Showroom today! What does a Sachse kitchen designer or bathroom designer do? 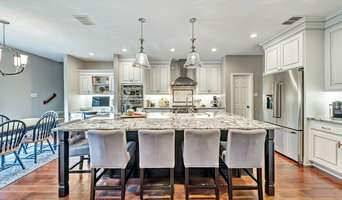 A kitchen and bath design professional in Sachse, TX knows to take all of these crucial points into consideration and can help plan the layout, materials and overall look and feel of either of these rooms in your home. Kitchen designers, as well as bathroom designers, are constantly staying on top of trends in the ever-changing industry. The designer also knows the best layout for your room, and can configure the layout for optimal functionality and utilization of the space. In the kitchen the refrigerator, stove and sink should be laid out in relation to one another, and it should be seamless and easy to move from one to the other. A Sachse kitchen and bath designer will know how to work with a contractor and architect to plan the flow of the room to work best for your needs. Here are some related professionals and vendors to complement the work of kitchen & bath designers: Kitchen & Bath Fixtures, Appliances, Tile, Stone & Countertops, Cabinets & Cabinetry, Woodworkers & Carpenters. 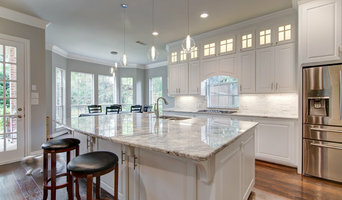 Before you talk to bath and kitchen designers in Sachse, TX, consider how you will use the room. For your bathroom, is it necessary to have a bathtub for bathing kids or pets, or would a shower suffice? Perhaps all you need is a half bath for downstairs or a smaller guest bath for occasional use. Similarly, for kitchen renovations consider your cooking habits. Do you eat out every night but need a space to entertain in? If so, a smaller kitchen might be fine for you, with a space devoted to wine storage or a bar, whereas others might prefer a bigger stove or extra cabinets. When interviewing Sachse kitchen and bath designers, make sure to share these habits so they can best fit the room to suit your needs. Find a Sachse kitchen designer or bathroom designer on Houzz. Narrow your search in the Professionals section of the website to Sachse, TX kitchen and bath designers. You can also look through photos in Sachse, TX to find a kitchen or bathroom you like, then contact the professional who designed it.